The attack on the DusitD2 hotel and office complex in Nairobi’s upmarket business district which killed more than twenty people was an horrific reminder that the war with the Somali-based terrorist group Al Shabaab is far from over. When I arrived in Nairobi shortly after the Al Shabaab attack I found a city pulling together in the wake of another terrorist incident, with some Nairobians questioning what more could be done to prevent future atrocities. I recalled the mood five years ago when Al Qaida-alligned Al Shabaab militants attacked the Westgate shopping Mall killing sixty-seven people. As one who lived in Nairobi at that time and reported on the Westgate siege for the BBC I’ve seen a big improvement since then how the Kenyan authorities respond to acts of terror. In the Westgate siege there were question marks over how the Kenyan authorities handled the crisis. There were allegations that the Kenyan police and the Kenyan army failed to co-ordinate their response and as a result the siege which went on to last for four days and was more deadly and horrific as a result. It seems this latest attack was handled much more effectively. Kenyan Special Forces were on the scene quickly and ended the attack in hours rather than days. There are now cameras on virtually every major road intersection in Nairobi which track vehicles and detect any suspicious activity promptly, and there are now security guards and weapons screening machines at the entrance to most office buildings and shopping centres. One thing that hasn’t changed is the resolve of the Nairobi people and their desire to go about their daily lives without fear. After Westgate there were great outpourings of solidarity to stand up against terrorism, A #WeLoveNairobi movement was launched which celebrated the city. It had a big impact in helping the city recover from the trauma of the attack. I see a similar mood now as well. Ordinary Nairobians are banding together to call for a new Nairobi to emerge from the ashes of the DusitD2 hotel attack. Many are calling for an end to the culture of bribes and widespread corruption which bedevils Kenyan life and which may have led some people collaborating with the attackers for money or at least turning a blind eye to their planning operation. “Stop stealing, stop bribing, stop corrupting….turn a new leaf, build our beautiful Kenya, teach our children that there is hope, show the animals who kill innocent people that they can’t and won’t be helped by corruption”. The dignity of Kenya was perhaps best expressed by my University of Central Lancashire colleague George Ogola who wrote a strong article condemning some western press coverage which showed dead Kenyans on the ground after the attack. George raises big issues about how the media reports atrocities like the Dusit attack – and highlights the importance for all journalists to remember that we are reporting about real people not objects and we must show respect. And here’s a video that’s going viral in Kenya. 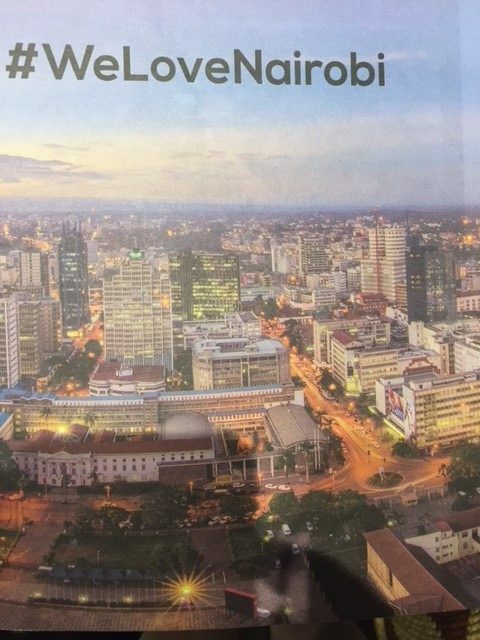 It shows all the good things about Nairobi – it reveals the great heart of a great African city that the Al Shabaab terrorists failed to destroy.